Our team of experienced professionals are here to assist you. Sonya Fischer has extensive experience as an advocate for vulnerable populations. Her activism stems from parenting a child with severe developmental disabilities. The institutional barriers she experienced as a young mother inspired her to speak up and create change for others. 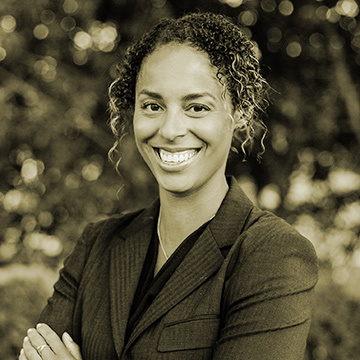 A member of the Oregon State Bar since 2003, and selected as an Oregon Super Lawyers 2009, 2010 and 2011 “Rising Star,” Sonya brings compassion and first-hand legislative knowledge to the practice of law. She combines her legal expertise with her understanding of education and service delivery systems to create successful strategies for her clients. Sonya understands her clients' struggles and utilizes a collaborative approach while building a solid record to preserve her clients' rights. Sonya began her advocacy efforts while attending Warner Pacific College where she organized parents of children with disabilities to secure important early intervention services. She was soon hired by Multnomah County, where she assisted the families of children with disabilities in accessing services and facilitated the planning and delivery of services for early childhood education, domestic violence and homeless youth. 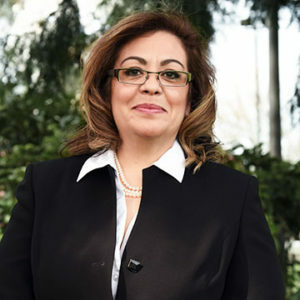 In 1991, while completing her master's degree in Public Administration at Portland State University, Sonya began working as an intern for the late senator Frank Roberts, where she spearheaded new disability parking permit legislation. Sonya worked in Salem for 13 years. While working with the Oregon Council on Developmental Disabilities, Sonya helped create a system of in-home supports for children with severe disabilities and facilitated the passage of legislation making it possible for children with disabilities to continue attending the same school when living temporarily outside their parents' home. 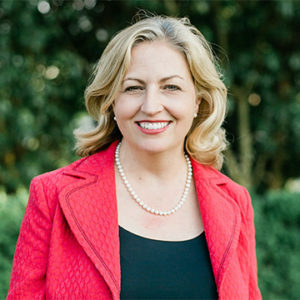 As legislative staff to Senator Frank Shields, Sonya developed a package of early childhood legislation that resulted in a statewide childcare provider training program that incorporated the importance of healthy brain development for young children. 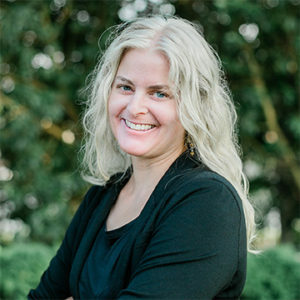 Sonya most recently served as the Director for State and Legislative Federal Affairs for the Oregon Department of Human Services. Sonya graduated from the Lewis & Clark Law School, where she was recognized for her leadership and contributions as both a Joyce Ann Harpole Scholar and a member of the Cornelius Honor Society. The Harpole award is a peer-nominated award given each year to a law student and a practicing lawyer who are notable for balancing a fulfilling life with the study or practice of law. Sonya was also recognized for winning the mock trial competition. While in law school, Sonya spearheaded a pro bono program for law students to assist families with their childrens' special education planning. Sonya is a member of the Board of Governors of the Oregon Trial Lawyers Association, where she previously co-chaired the Family Law Section. She is past President of the Clackamas Women Lawyers. She is past Secretary of the Clackamas County Bar Association and chaired the Policy Committee for FACT: Family and Community Together. She served as a delegate for the Oregon State Bar. She is also involved with Oregon Women Lawyers, and The Arc of Multnomah County. 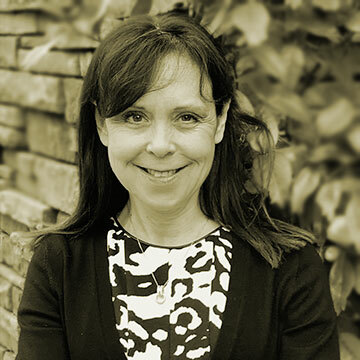 Sonya is a member of the Governmental Affairs Committee for the Lake Oswego Chamber of Commerce. She was very active in her childrens' educations, previously serving on school foundation boards and budget committees as well as volunteering in the classroom. Joanna Posey became a lawyer because she wanted to help people find a respectful and thoughtful resolution to their conflicts. Joanna takes pride in being able to empower her clients during an otherwise stressful and emotionally charged time in their lives. She finds it extremely gratifying to help a client take the first steps toward a new beginning, and enjoys working to resolve the unique issues in each case, be it developing a consistent parenting plan that fits a family’s nontraditional work schedule, or finding a creative way to divide marital assets. Joanna believes that a strong family is a person's most valuable asset, and is committed to helping her clients maintain civil relationships with their spouses during times of stress and transition. She has special training in the Collaborative dispute resolution method which helps families resolve their disputes holistically and outside of court. Joanna also offers her services as a mediator to help parties reach agreements in family law cases. Joanna’s experience ranges from divorce and adoption to business advising and estate planning. 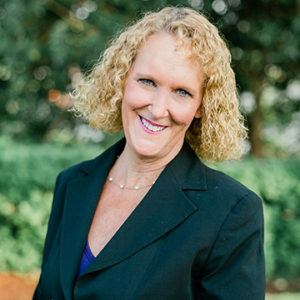 As Managing Attorney at Fischer Family Law, PC, Joanna is dedicated to ensuring that her clients have the information they need to make informed decisions. To minimize the stress and anxiety that accompanies family restructuring, she places equal importance on both client education and client advocacy, with the goal of achieving the best possible outcome based on a client’s choices about his or her case. Joanna began her legal career as a paralegal at a law firm in her hometown of Memphis, Tennessee, before moving to Portland for law school. In her second year of law school, Joanna clerked for the Honorable Robert E. Jones for the United States District Court, District of Oregon. Since moving to Portland, Joanna has worked at firms with a wide range of practice areas, from business advising and strategy to elder law and intellectual property law. A competitive pool player with the American Pool Association, Joanna’s aptitude for playing the angles is reflected in her hobbies as well as her work life. She is skilled at solving strategic games and puzzles, and her ability to examine an issue from every side has helped her develop a balanced approach to family law cases. Independent adoptions are ones in which prospective parents are advised by an adoption attorney instead of working with an adoption agency. Joanna represents clients on both sides of independent adoptions, which can include birth parents, step parents, partners, and others seeking to adopt a child who is already known to them. Mediation is a dispute resolution process in which the parties retain a neutral third party to help them reach agreement. A mediator does not represent either party and cannot provide legal advice, but she can provide information about the legal process and guide a discussion to help the parties reach resolution. Mediation can be used to resolve entire divorce cases or to reach agreement on one or two particular issues. The process generally involves the parties sharing information and goals and brainstorming solutions in the presence of the mediator. Once an agreement is reached, legal documents must be prepared so that the agreement can be filed with the court. Samantha brings almost two decades of experience practicing law in Oregon and is the rare native, third generation Oregonian. She grew up in Clackamas County and still lives here. Samantha is passionate about helping clients understand their legal situation, what their options are, and working with people to determine the best strategy to resolve their unique legal issue in a way that is right for them. Her practice focuses on all areas of domestic relations law, whether you need a lawyer in the courtroom or at the mediation table. She handles complex financial cases and difficult custody situations, as will as prenuptial agreements, restraining and stalking orders, and modification of support issues. 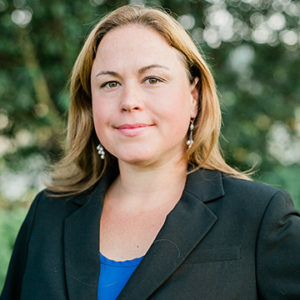 Samantha started her legal career as a deputy district attorney in Clackamas County, and practiced in civil litigation before focusing on domestic relations. She received her JD at University of Oregon and her MBA from the University of Utah. Her undergraduate degree is from Whitman College as a biochemistry major, and she graduated high school from Oregon Episcopal School (OES). 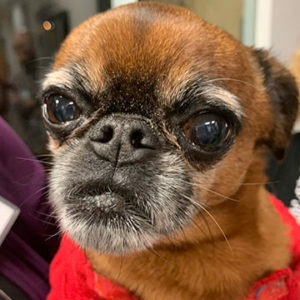 Outside the law, Samantha is active in civic engagements. 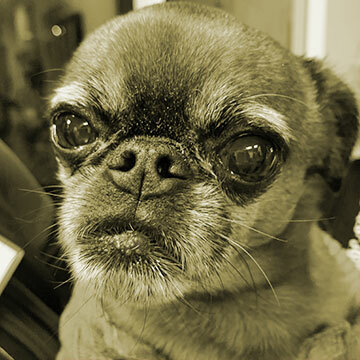 She serves on the Board of Directors for Oregon Humane Society. She is active on the Alumni Council for OES, and is a past president of the Clackamas County Bar Association. She does pro bono representation of children in domestic relations cases. In her spare time, Samantha enjoys being outdoors. Whether it is running, downhill skiing, or working outside in the yard, she loves everything Oregon has to offer. Her standard poodle, Quinn, likes being out as much as she does and is a regular companion on their adventures. Brenda Winikka (Of Counsel) has teamed with Sonya in the practice of law for over four years. She graduated from Willamette University (B.A., history) and Lewis and Clark Law School. She was admitted to practice in Oregon in 2004. Brenda enjoys working through the procedural and relational challenges that come with practicing family law. An Oregon native, Brenda practices in Yamhill County out of her office in Newberg, where she lives with her husband and three children. Her favorite things include family road trips, the view from the top of Chehalem Mountain and coffee crème brulee at the Garden View Restaurant in Silverton. Brenda works to show compassion to her clients while achieving the best outcome possible. Recognizing that family law disputes do not have “winners” and “losers,” she works to bring resolution to conflict. Brenda is an active member of the Women of Willamette and Oregon Women Lawyers. Christine Furrer supports, encourages and advocates for her clients so that they can find peace during difficult times or security in knowing that their family member with special needs will be financially cared for in the future. She graduated from Northwestern School of Law of Lewis and Clark College and then had her own practice in Lake Oswego where she handled personal injury matters and estate planning with a focus on Special Needs Trusts. Christine is the mother of three beautiful children, one who has Autism and Angelman Syndrome. Given that she has spent years advocating for her daughter, she has a passion for helping individuals with disabilities and their families. Christine joins our team after taking a few years hiatus from the law to focus on helping her children grow and to start a woodworking business making custom home and office furniture pieces. During her personal time, Christine spends as much time as possible outdoors. She goes on adventures with her children, is a lifelong runner, biker, yogi, indoor cyclist, skier, hiker, mediocre golfer and hopefully a future angler. She carries with her a sense of calm and an endless amount of patience while remaining quick-witted and strategic. She is a zealous advocate and will be a welcome addition to our firm. Cindy began her legal career at the age of 16 when she was offered the opportunity to work for the city attorney, Kulla & Ronneau. She has worked ever since in the legal field with a continuing passion for the field of Family Law. Prior to joining Fischer Family Law, PC, she worked for 10 years with a family law firm in Beaverton, Oregon. Cindy was with the firm from its foundation through its tremendous growth, using her knowledge and experience to build good rapport with the judges, their staff and other departments within the courthouse. Cindy is a seasoned legal assistant with a can-do attitude embodying the principles of compassion, empathy and understanding. Sarah began working as a paralegal in 2016. Her background includes family law, civil litigation, and mediation. She graduated from Portland State University (B.S. ), Lewis & Clark Graduate School of Education and Counseling (M.A.T. ), and University of Oregon School of Law (J.D.). Prior to becoming a paralegal, Sarah taught elementary school. She is passionate about making a difference in the lives of families and children in the community. Sarah has also worked for multiple non-profit organizations supporting individuals with disabilities. Sarah is a native of the Pacific Northwest and a certified ski instructor. Away from the office, Sarah can be found hiking, camping, snowboarding, skiing, traveling, volunteering, and spending time with her husband and two children.